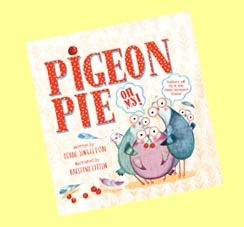 My second picture book Pigeon Pie, Oh My! is published by Oxford University Press and was nominated for the 2014 London Evening Standard's book prize for magical books for pre-school children. Kristyna Litten has done a fantastic job of bringing to life the donkey, bull, sheepdog, chick and others who feature in my farmyard romp. Her illustrations are clever and funny. And how cute are those pigeons?! ...is published by Andersen Press and illustrated by Holly Swain. 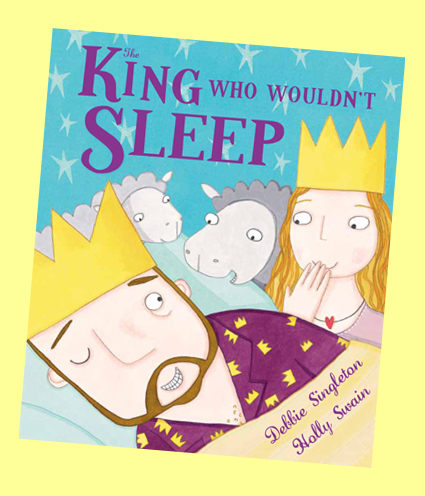 It's a lively tale with a few quirky royals, some fun with counting and a clever trick. 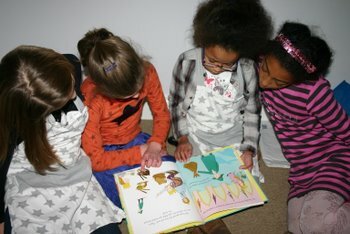 My daughter's friends enjoying a sneak peek before publication.